Madison College’s Chase Scharnek (16) scores and encourages Carson Carmody (32) to follow him home during his team’s victory over Prairie State College on April 2 at Sun Prairie High School. A rainout with Milwaukee Area Technical College on March 30 pushed back the opening for the Irwin A. & Robert D. Goodman Sports Complex by a day, forcing Madison College to open its new stadium against two of the toughest opponents on its schedule. The team opened its home season by being swept by Kirkwood Community College, ranked No. 2 in NJCAA Division II, in a doubleheader on March 31. 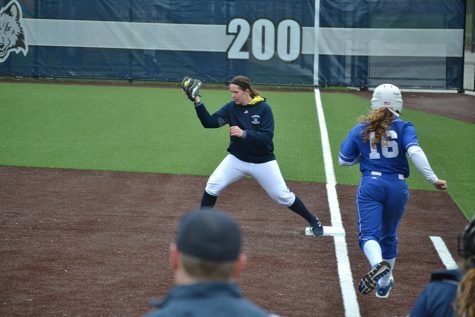 Madison College was then swept again at home on April 1 in a doubleheader with Rock Valley College, the three-time defending NJCAA Division III national champion. Fortunately, the team got a chance to rebound against Black Hawk College-Moline on April 2, winning two games on the road. 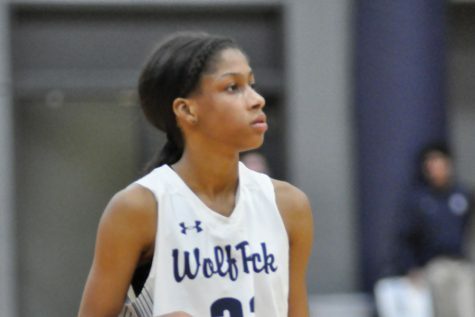 Madison College now stands at 15-12 overall and 4-2 in conference play. The team has won three of its last eight games, but will now play the bulk of its remaining schedule at home. 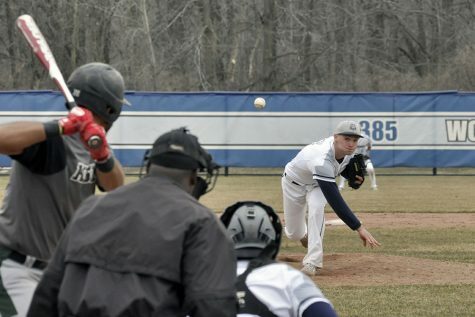 After hosting the College of DuPage in a doubleheader on April 4, Madison College will travel to Joliet Junior College for two games on April 6. The team then returns home on April 8 to play South Suburban College. Madison College first baseman Brooke Heck tags the base for the out as a Kirkwood Community College player heads toward the base. Madison College opened its new Irwin A. & Robert D. Goodman Sports Complex on March 31 with a doubleheader against the No. 2 ranked team in NJCAA Division II. 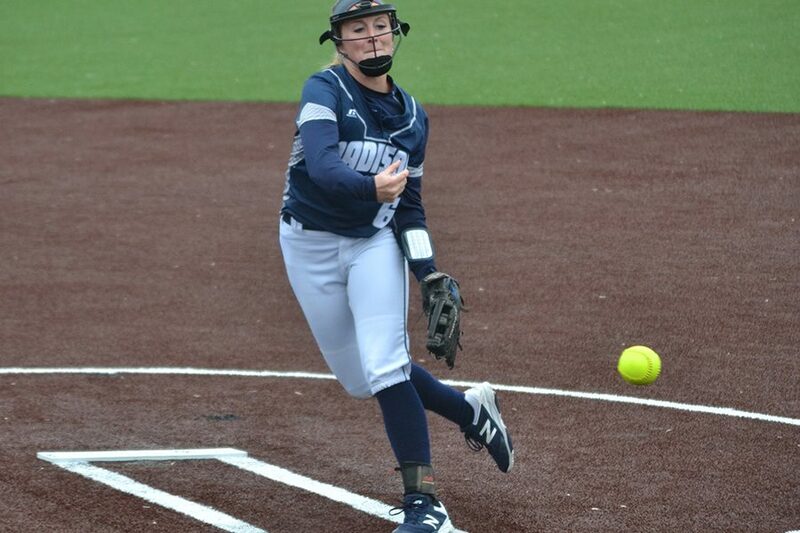 A seven-run second inning helped Madison College take command in a 12-6 victory in the first game of a doubleheader on April 2 at Black Hawk College-Moline. Madison College pounded out 20 hits in the game and had three triples and two doubles. Brooke Heck led the team with four hits, including a double. Riley Landenberger and Brenna Seeber both had three hits, with Landenberger hitting a triple. Bailey Kratt had two hits, including a triple and a double. Claire Brzenk doubled and had two hits. Emily Wiederholt earned the win, pitching 3-2/3 innings. She allowed one run on three hits and struck out six. Another double-digit hit effort gave Madison College a 5-2 victory over Black Hawk in the second game of the doubleheader. Madison College had 10 hits, led by Bre Feiler and Bailey Kratt, both of whom had two hits and two runs batted in. Ali Braddock added two hits and one RBI. Feiler and Braddock both hit doubles in the game as well. 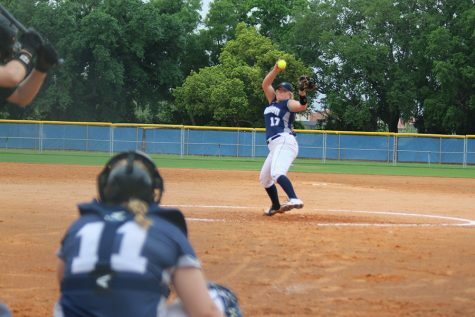 Hannah Wienen earned the win for Madison College, allowing two unearned runs on six hits in 6-2/3 innings. She struck out 12 batters and walked four. Madison College was held scoreless until the bottom of the seventh inning in a 7-2 loss to Rock Valley College at home on April 1. Jensen led off the inning with a double, followed by a walk by Ashley Kniesel. Jensen and Kniesel both scored after a double by Brzenk. Brzenk had two hits in the game. Feiler doubled to lead off the fifth inning, but was left stranded at third. Hannah Jensen pitched the loss, allowing four runs on just four hits but walking five batters. Rock Valley improved its record to 22-2 by shutting out Madison College in the second game of the doubleheader, 7-0. Madison College had four hits in the game, including a double and two hits by Seeber. Rock Valley pitcher Kelsie Packard allowed just two hits in six innings and struck out 12 batters. Riley Landenberger pitched the loss for Madison College, allowing four earned runs on 10 hits and striking out five. Madison College committed an uncharacteristic four errors in the game. Madison College was limited to just two hits in a 12-0 loss to Kirkwood Community College on March 31 in the Goodman Sports Complex opener. Kirkwood scored five runs in the fourth inning and six runs in the sixth inning, ending the game with a run-rule victory. Seeber and Brzenk had the only hits in the game for Madison College. Jensen pitched the loss, allowing six runs on 10 hits and two walks. A five-run first inning gave Kirkwood Community College all the runs it needed in a 9-0 five-inning victory over Madison College in the second game of the doubleheader. Kirkwood is now 27-2 overall. Madison College had four hits in the game, all singles, by Feiler, Bollig, Emme Hilbert and Samantha Yaeger. Hannah Wienen pitched the loss, allowing eight runs on nine hits in three innings.